The 3rd and final edition in the Halo video game trilogy got released Monday night at midnight. Microsoft expects to sell an estimated 4 million copies of Halo 3 (read MethodShop.com review) in the U.S. during the next 30 days according to Gamesindustry.biz. Think 4 million seems a lot for a video game? 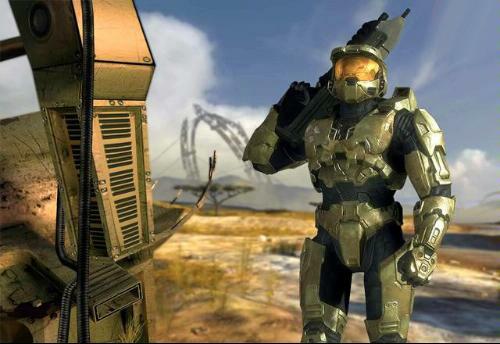 Keep in mind that “Halo” (2001) and “Halo 2″ (2004) sold 14.5 million copies worldwide. But because there is so much anticipation and hype around Halo 3, corporate employers and school systems are fearing that their staff and students will spontaneously be calling in sick this week. “I’ve already talked to my teachers and got my assignments for Tuesday. I don’t plan on going to class,” says Dane Mitchell, 20, a Cincinnati State and Community College sophomore. “I’m going to pick up the game at midnight from GameStop, go to a friend’s house, and play it for 36 hours,” he says. Like Mitchell, Neil Godwin, 21, of Milford, Ohio, reserved his copy more than a year ago. He’s taking a vacation day Tuesday from his job as a Kroger computer help desk analyst to play Halo 3 all day with his brother. Corporate sponsors are also helping fuel the hype around Halo 3. Even if the last video game you played was Pong in the 1980’s, Microsoft still wants you to know about Halo 3. Everyone from Burger King, NASCAR, Pontiac and even Mountain Dew have promotional deals with Microsoft for Halo 3 that rival such theatrical franchises as Harry Potter. 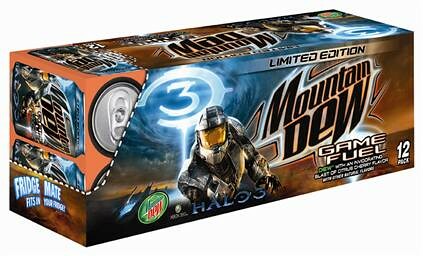 Last night I even saw a ‘limited edition’ Halo 3 Mountain Dew 12-pack labeled as “Game Fuel.” I guess there’s probably enough sugar and caffeine in a 12-pack of Mountain Dew to even keep a Polar Bear up all night. Beyond the corporate sponsors, promotional advertising blitz and the Internet buzz, Halo 3 is special to gamers because it’s the final chapter in the Halo series. It’s the last time fans will get to see their beloved Master Chief in action. Halo 3 is equivalent of how important “Return of the Jedi” or “The Return of the King” was Star Wars and Lord of the Rings fans. It’s the end of a saga.